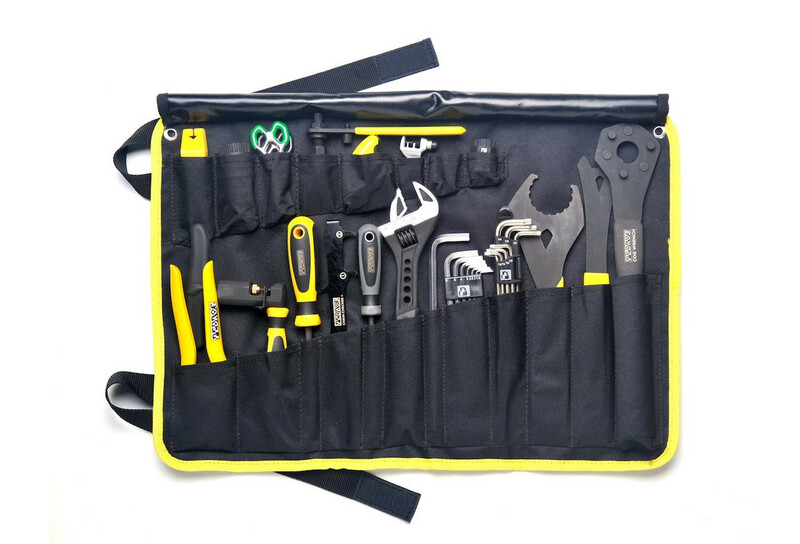 Hungry to get your tools organized, protected, and ready for action? Then chow down on the Pedro's Burrito Tool Wrap. Designed in conjunction with our Starter Tool Kit, this wrap is designed for versatility and convenience. 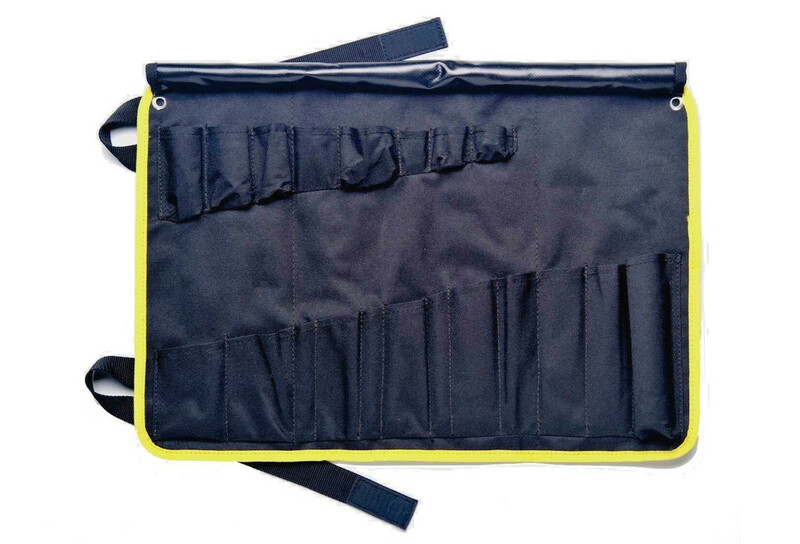 Twenty pockets offer ample space for all your tools. Unroll flat on a bench or hang by the integrated grommets and find your tools displayed over the roomy 21" x 15" surface. When its time to pack up, the waterproof exterior and internal flap keep you tools protected and velcro straps keep everything in check. Still hungry? 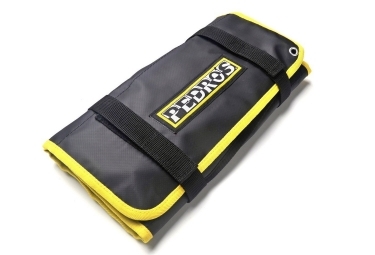 Your favorite Pedro's floor pump fits perfectly in the Burrito straps. Tools not included in the Burrito.